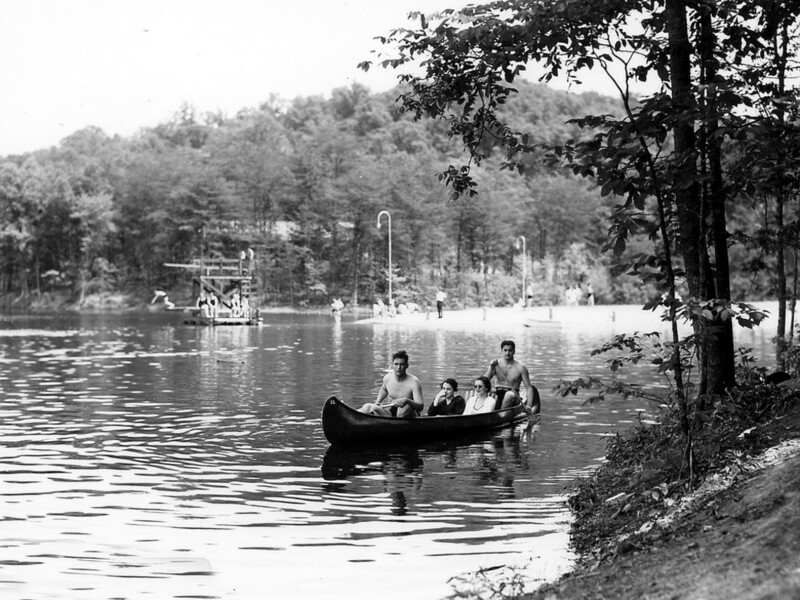 Much of Appalachia still has that mournful, old feel of mountains, trees, and rivers that have seen too much violence. The open coves, dripping caves, and hidden groves scattered about East Tennessee can easily transport one back to Native American raids and Civil War bloodshed. [Big Ridge State Park](tnstateparks.com/parks/about/big-ridge) isn’t going to offer the thrills and spooks of your typical haunted destination, but the park does hold some captivatingly morbid history, ranging from gruesome scalpings to spectral sightings. Head out early to the park and make a day of it. The nearest town is Maynardville, six miles away. Pick up a map at the Big Ridge State Park main office and then head northwest toward the Lake Trail. This winding trail is easy and secluded, offering opportunities to see wildlife as you meander along near one of the branches of Norris Lake. The trail will eventually cross the lake via Big Ridge Dam. Once across the lake, you can head North (left) to take the long Dark Hollow West Trail to its intersection with Big Valley Trail or head South (right) to continue on down past Snodderly Cemetery—the burial site of many of the area’s earliest settlers—toward Ghost House Trail Loop. At the start of the loop, head left and follow the yellow blazes. Admittedly, one of the biggest disappointments of the park is the fact that there is no “ghost house” on Ghost House Trail and only the cistern and a couple pits remain of the old Hutchison House from which the trail derives its name. Rumor has it that during the wake of the Hutchison’s adult daughter Nancy, who died of tuberculosis, visitors heard what sounded like her voice crying from upstairs. When the house was eventually abandoned years later, the neighbors continued to hear eerie noises coming from the vacant house and eventually moved away to escape the unsettling aura of the place. As you hike along on a foggy, autumn morning, it’s not difficult to imagine the cries of a woman reaching out for you through the mist. If you’re up for a challenging hike, head North up the Big Valley Trail to Indian Rock Trail, where you’ll find a plaque commemorating Peter Graves, a Sharp’s Station settler who was killed and scalped by Cherokee raiders. The trail is recommended only for experienced hikers, so double knot your bootlaces before tackling this historic hike. If you decide you’re not ready for the strain and pain, finish the Ghost House Loop, passing Norton Cemetery, and continue on down Lake Trail briefly before it spits you out at a nice lakeside spot with park benches, a big grassy knoll and a small dock. This is a good spot to rest and have lunch. Across the water you can see the larger boat dock and a small beach that are open for swimming during the summer months. 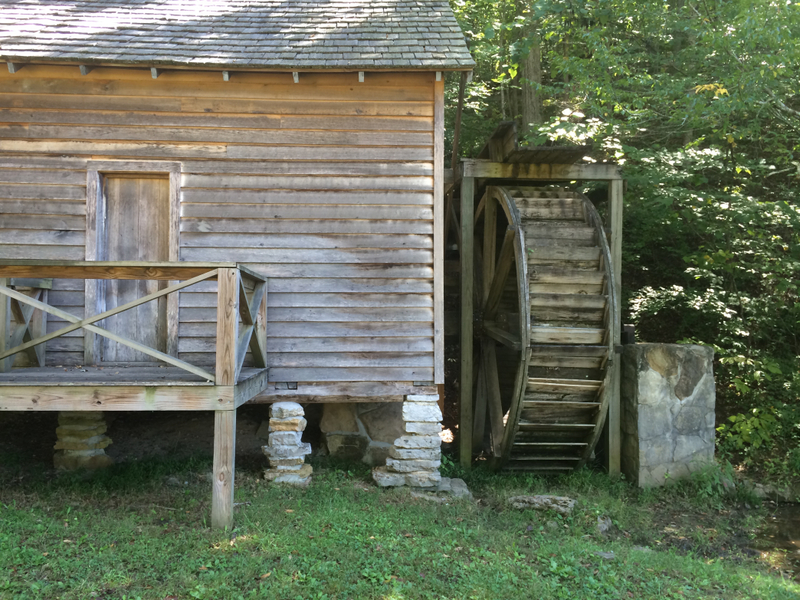 Before heading back to your car, make sure you visit the nearby Norton Gristmill. The existing structure is largely a replica of the original, but the millstones and raceway are from the original mill built in 1825. It’s a nice place for a photo-op, and children will love playing in the small stream that runs beside the mill. If you still have some energy or time to burn, you can head south and hike a small section of the Chestnut Ridge Trail, which contains, among other sights, the remains of the once ubiquitous chestnut trees. If you’re ready to head back, take the Old Mill Trail to where it ends near the road, and continue along the road until you’re back at the main office. 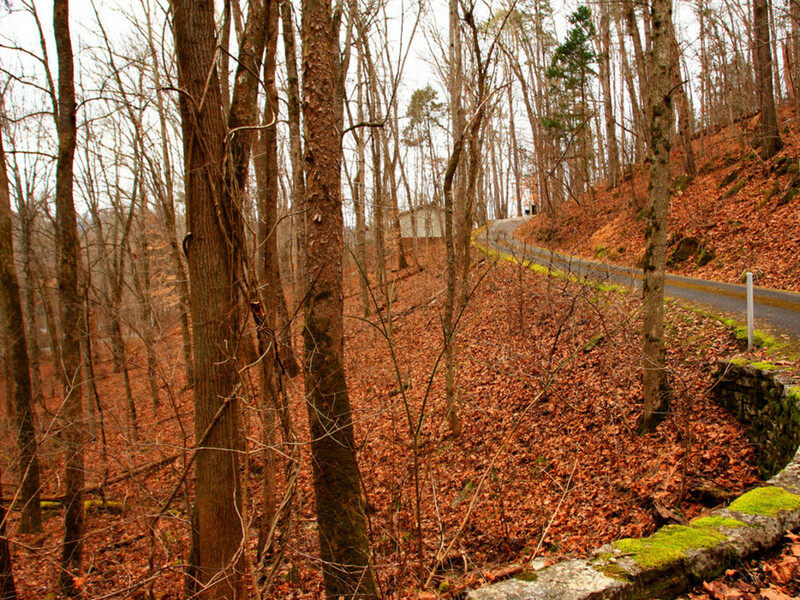 Big Ridge State Park is a beautiful and un-crowded alternative to some of the other more popular historic haunts in East Tennessee. But if you’re still looking for a real thrill this October, head through Corryton on your way back to Knoxville and check out Oakes Farm. They host an outdoor terror tour called The Trail of Doom, starting at 8pm every Thursday, Friday, and Saturday in October beginning Friday the 3rd. It has been called “Knoxville’s Largest and Longest-running Haunted Attraction.” The main part of the farm hosts a pumpkin patch, corn-maze, and scores of other family-friendly attractions starting at noon, but the real thrill is the Trail of Doom.